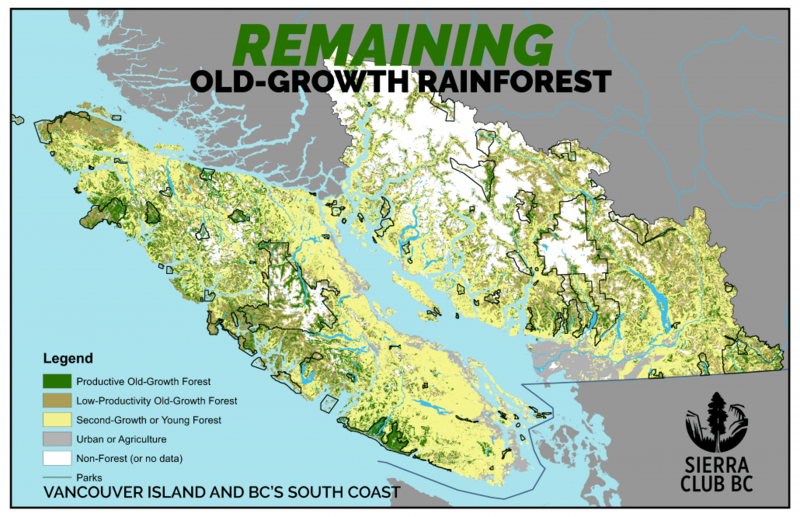 VICTORIA—Sierra Club BC warns that high and increasing old-growth logging rates on Vancouver Island will lead to an ecological and economic collapse unless the B.C. 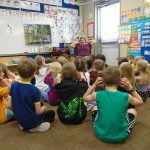 government changes course. The Province must increase protection and introduce a plan to phase out old-growth logging including support for a faster transition towards sustainable, value-added second-growth logging. A review of government logging data by the environmental organization shows that 243,000 hectares of rainforest were logged on Vancouver Island between 2004 and 2015. Of this amount, 100,000 hectares were old-growth rainforest. Despite the rapidly decreasing amount of old-growth rainforest on Vancouver Island, the average annual amount of old-growth logging has increased by 12 per cent. From 2007 to 2011, a period with an unfavourable market for wood products, 7,600 hectares of old-growth forest were logged annually. From 2011 to 2015 that amount increased to 9,000 hectares. 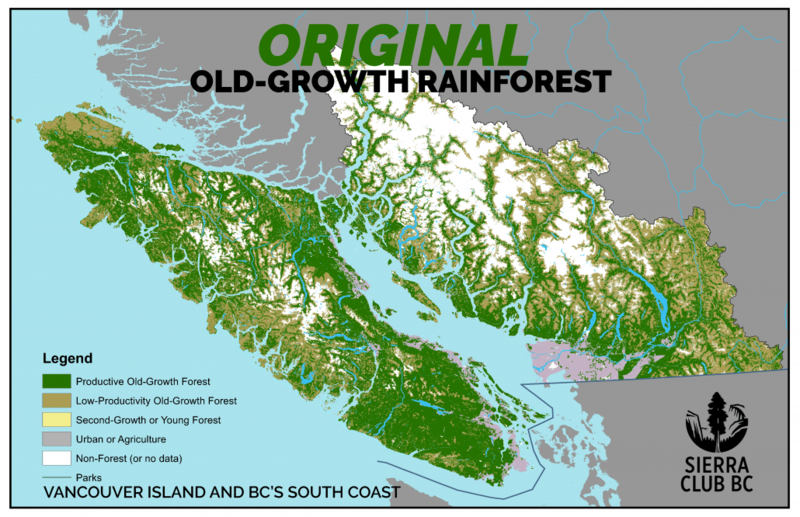 Sierra Club BC estimates that only approximately 384,000 hectares of relatively productive, unprotected old-growth rainforest ecosystems remain today. Of this amount a significant portion is still at risk of being logged before the unavoidable transition to 100 per cent second-growth logging. Today the vast majority of the original three million hectares of old-growth rainforest on the island has been logged and only about 10 per cent of the biggest trees are left standing. The original record-high carbon sink in ancient trees has been dramatically reduced as a result of the conversion of old to young forest and has contributed to climate change. A 2009 Sierra Club BC report estimates the overall loss of old-growth carbon on Vancouver Island as a result of logging to be at least 370 million tonnes of carbon dioxide, almost six times B.C.’s reported annual emissions. The recent finalization of the Great Bear Rainforest Agreements by First Nations governments and the B.C. government shows that solutions are possible. 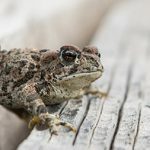 The agreements met science-based conservation levels, strengthened First Nations rights, enabled conservation financing and forest carbon credit projects, and have given forestry companies certainty for logging under stringent standards. In contrast, south of the Great Bear region coastal rainforests are in a state of ecological emergency as a result of too much logging and a dismal level of protection. Climate impacts like droughts and storms exert additional pressure resulting in severe consequences for watersheds and salmon. Raw-log exports are at a record high and jobs per cubic meter at a record low compared to other parts of the world, leaving neither healthy forests nor healthy communities. A comprehensive conservation and forest management plan for Vancouver Island must respect First Nations rights and interests, enable a transition to sustainable second-growth forestry, support diverse economic activities such as tourism and reduce carbon emissions. Read Stephen Hume’s story in the Vancouver Sun.